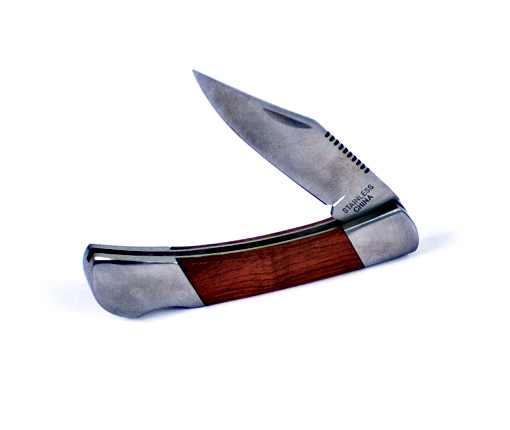 Product Description: Heavy Weight Wood grain Buck Knife. Excellent Gift Item. Perfect for Laser Engraving. Packed in White Gift Box.